Responding to requests among members for more Reserve- and Guard-specific information, we have enhanced the content of ROA SmartBrief. You will find less general defense news content now, and more on the Reserve Components. Last week the Senate passed the NDAA 89-8. It authorizes $700 billion in defense spending for the next fiscal year ($640B in base spending and $60B in overseas contingency operations spending). The House version passed earlier this summer and included $621.5B in base spending and $75B in OCO spending. It now goes to conference to work out the differences between the House and Senate versions. ROA is working with several associations concerning the differences between the House and Senate versions for benefit parity when on involuntary orders. ROA appreciates that the House and Senate have agreed to extend pre- and post-health care for National Guard and Reserve members when they are supporting the Combatant Commanders under Title 10 U.S.C. 12304b orders. These provisions are ROA priorities. However, the House and Senate Armed Services Committees have not agreed to extend this same benefit to Reserve Component members when they are supporting natural disasters, such as hurricanes. During visits over the past two weeks with staff of Sen. Thom Tillis (R-NC) and Sen. Mike Rounds (R-SD), ROA’s executive director, Jeff Phillips, has expressed our support of these provisions and has been met, if not with outright promises of support, with indications of positive interest. In his weekly visits on the Hill, Phillips will continue to press the issue. The most recent hurricanes (Harvey, Irma, and Maria) make the point for our service members to have such health care protections. According to Web MD, “Even healthy people, after Harvey’s destructive force, could face health hazards related to polluted air, contaminated water, infected wounds, mold, contagious diseases, carbon monoxide, and mosquitoes.” These conditions exist for Hurricane Irma and Hurricane Maria. ROA encourages you to call your Congressional members in the House and Senate and urge them to include pre- and post-health care for Reserve Component members in the Fiscal Year 2018 National Defense Authorization Act. Please extend pre- and post-health care for Reserve Component members when they are on involuntary orders in support of a national disaster under Title 10 United States Code, 12304a. 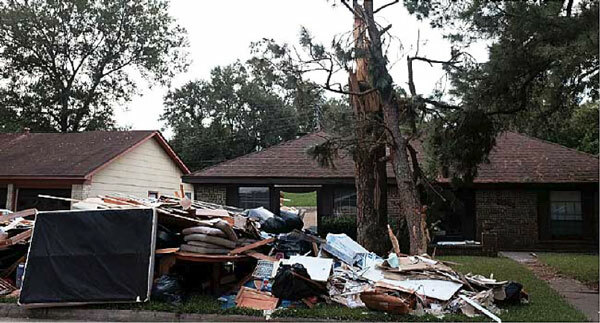 National Guard and Reserve members are being exposed to health hazards as they help hurricane victims who are struggling in the aftermath of the most recent hurricanes. Thank you for including health care for Reserve Component members when they support the Combatant Commanders. Sources say the Army has cancelled their rifle replacement program. The Interim Combat Rifle was meant to replace the M4 carbine, the latest variant of Army’s standard issue rifle for over fifty years. Firing a 7.62mm round instead of the M4’s 5.56mm round, the new combat rifle was meant to provide more lethal firepower given consistent criticism the smaller M4 rounds did not sufficiently incapacitate opponents. An Army spokesman has disputed the report stating Army leadership has not come to a final decision. However, given the delays and technical issues arising with the Army’s pistol replacement, one would not be surprised to witness similar delays plague its rifle replacement. At a time when the U.S. military is reassessing how to maintain its technological edge, it might behoove them to reflect on their combat troops’ basic needs. Hundreds of millions of dollars are poured into advanced weapons systems, but insufficient attention and resources are directed to the tools needed for basic infantry who make up 80 percent of combat deaths. If the military cannot outfit infantry soldiers with the requisite gear, how can one expect them to survive the kinetic engagements they face in the future? National Security Adviser Gen. H.R. McMaster addressed the D.C. National Guard’s annual Military Ball, Sept. 16, praising the Guard and its recent contributions to the hurricane recovery efforts. It is encouraging to see national leadership acknowledge the amazing efforts the National Guard has undertaken in the previous month as they have responded to three major hurricane events in Texas, Florida, and the Caribbean. These Guardsmen are entering often dangerous environments, risking toxic and disease exposure. For this reason, it is imperative Congress grant them pre- and post-mobilization healthcare. Currently, these essential benefits are not granted Reserve Component service members called under 12304a mobilization orders, which can be used for disaster response. ROA is working hard to get this corrected. Thirty U.S. Navy Reserve first class petty officers were promoted to the rank of chief petty officer at Naval Base Coronado. Capt. Brian Ferguson, deputy commander of Naval Air Force Reserve, was the guest speaker at the ceremony. He reminded the new chiefs that it is important to always have America’s back and to embrace the tradition and expertise of their fellow chiefs. Accelerating the transition of 31 Super Hornet aircraft to the Navy Reserve’s combat air fleet over two years is going to cost $2.3 billion, according to a report from Inside the Navy. The additional cost to accelerate the new aircraft will allow the Navy to keep their Legacy Hornets for use in support squadrons. The retired aircraft- the Hornet- will provide spare parts and supplies for the legacy fleet that remains in their support squadrons. The Navy has a heritage of holding the senior-most officer personally responsible for any and all failures in their command. However, in the current environment this may be exacerbating and hiding the actual causes of the problems. Four collisions in PACOM, 17 Sailors dead. Twnety Marines dead in aviation mishaps this year. In total, since June, 56 uniformed members were killed or injured in training or regular operational maneuvers. Just since June! To scale back Irma relief efforts, the Navy relieved the aircraft carrier USS Abraham Lincoln from duty off the Keys, and recalled it back to its base in Norfolk. The Lincoln was a large symbol of the national response from the Department of Defense as the storm headed towards Florida. By Thursday after the storm, with an estimated 10,000 National Guard and Reserve troops in the state, all but 2,000 from Florida had been recalled from an order by the Pentagon. The guided missile cruiser, the USS San Jacinto accompanied the aircraft carrier back to Virginia. Troops were helping to deliver relief, managing food and water distribution sites, and cleaning debris from roadways to help direct traffic. In Key West, the Navy said that the amphibious assault ship USS Iwo Jima, amphibious transport dock ship USS New York, and the destroyer USS Farragut remained. 2,400 Sailors and Marines were providing logistical support, medium and heavy lift air support, medical supports, maritime civil affairs, and maritime security. Off the coast, helicopters based on the Lincoln delivered water and supplies to the Navy Base, Air Reserve Base, and to the USS Iwo Jima. A Sept. 27 message from the commandant, USCG, encourages active duty Coastguardsmen to transfer to SELRES after their release from active duty. ROA applauds the commandant! R 271210 SEP 17 FM COMDT COGARD WASHINGTON DC//CG-1// TO ALCOAST UNCLAST//N12330// ALCOAST 284/17 COMDTNOTE 12330 SUBJ: DUTY TO PEOPLE: COMMAND LEADERSHIP IN ENCOURAGING SELECTED RESERVE (SELRES) AFFILIATION UPON RELEASE FROM ACTIVE DUTY (RELAD) A. Personnel Service Center Instruction, PSCINST 1120.1(series) B. Personnel and Pay Procedures Manual, PPCINST M1000.2(series) 1. Coast Guard reservists have been essential force multipliers during every major contingency response operation for over 76 years, and in countless other ways at units across the country on a daily basis. 2. A vibrant, ready, and relevant Reserve is vital to Coast Guard operations and our National Security. Accordingly, it is everyone’s responsibility to identify and encourage candidates of the highest character and propensity to serve in the Coast Guard to join the Reserve as outlined in ref (a). 3. Leaders in Command Cadre positions have a special duty to actively encourage our best and brightest who are preparing to be released from active duty (RELAD) to continue serving on a part-time basis by affiliating with the Selected Reserve (SELRES). 4. The pre-separation counseling required in Chapter 3 of ref (b) is the perfect opportunity to explain the benefits of continued service in the Reserve Component. Benefits include: a. Annuity: RELAD members who affiliate with the SELRES will continue to accrue equity toward the defined benefit pension in both the current and blended retirement systems. The performance of Inactive Duty Training (IDT) drills, certain correspondence courses, and any active duty will all result in an increased benefit upon retirement. b. Training: SELRES members can continue to receive training to build leadership and technical skills which may be applicable to both their military and civilian occupations. c. Medical and Dental Insurance: SELRES members and their families have access to low cost health and dental insurance through the TRICARE Reserve Select and TRICARE Dental programs. d. Life Insurance: Reservists retain eligibility for Servicemembers Group Life Insurance (SGLI). 5. The In-Service Transfer Team (ISTT) at Coast Guard Recruiting Command (CG RC) has primary responsibility for assisting interested active duty members in affiliating with the Reserve. They will contact active duty members within three to four months of their end of enlistment and remain available to discuss potential affiliation even after the member’s RELAD date. 6. Reserve Force Readiness System (RFRS) staffs at the Areas, Director of Operational Logistics, Districts, and Sectors are also an exceptional source of information for questions related to service in the SELRES. In addition, Reserve Gold and Silver Badges, Senior Enlisted Reserve Advisors (SERAs), and Senior Reserve Officers (SROs) can provide invaluable insight into life in the Reserve for those interested. 7. Over the next few weeks the Office of Reserve Affairs in conjunction with CG RC will be rolling out a number of tools to help support commands in explaining the value of Reserve service. Once approved, these tools will be released through the Reserve web page at www.reserve.uscg.mil as well as through the Coast Guard social media program. 8. The affiliation process can be confusing at times. Active duty members with questions concerning the RELAD and affiliation process should contact the ISTT point of contact. 9. Commands with questions regarding Reserve policy and duty expectations in order to help counsel their transitioning members should contact one of the Regional Reserve points of contact. 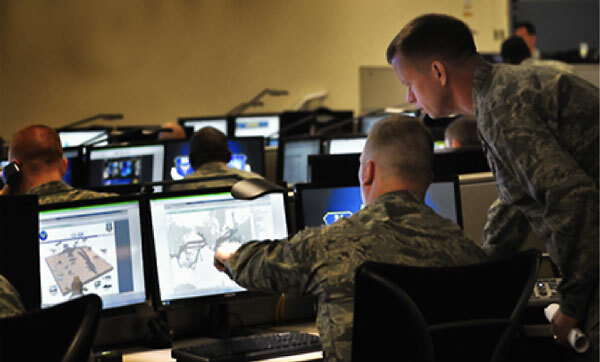 The Air Force Reserve has three mission areas that are chronically critical – intelligence, cyber and space. The Air Force Reserve has the most experience with attracting and retaining personnel in the intelligence field. Most recently they have become more involved in the cyber mission as it has transformed with advances in computers and information technology. In between these two missions, the Air Force Reserve has been involved in the space mission for some time but it is taking new prominence as smaller countries are growing their space capability. Just as with the intelligence and cyber missions, the growing space mission will result in competition for personnel. 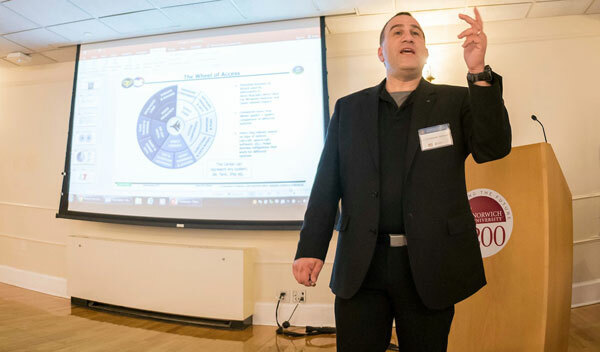 This is driving a new approach for the Department of Defense as they consider how to attract individuals from the civilian sector when the workforce may not want to be recruited into uniform. The Air Force Reserve is looking at a new model of part-time civilian support to the military. ROA will take appropriate steps to ensure legislation and budget resources support this mission just as they did in the past year with the cyber mission. ROA focused on the cyber mission in the 115th legislative agenda which resulted in legislation in the Fiscal Year 2018 National Defense Authorization Act from the House and Senate Armed Services Committees. Commissaries will begin accepting the Military Star Card this fall. Starting on October 3, Fort Lee, Virginia will become the first commissary to accept the Military Star Card. Six days later five more commissaries will join the pilot program and 20 more will join at the end of October. By November 9, the remaining commissaries will accept the card. Currently, the Military Star Card is accepted at military exchanges. Military Star Card interest payments are poured into family programs on military installations. It is uncertain whether these interest payments will now partially go towards commissary exchanges. The Army & Air Force Exchange is giving active-duty service members, retirees, dependents and honorably discharged Veteran beta shoppers the chance to save up to 50 percent off select items at ShopMyExchange.com this Columbus Day. The Columbus Day event will be the second Exchange sale in which honorably discharged Veterans may use their newly authorized online shopping benefit. Veterans who verify eligibility at ShopMyExchange.com may be randomly selected as beta shoppers, giving them access to the site ahead of the benefit’s Nov. 11 launch date. The sooner a Veteran verifies, the better the chance to participate in the Oct. 9 sale as a beta shopper. DALLAS – The Army & Air Force Exchange Service’s online store at ShopMyExchange.com is faster, easier and more intuitive than ever following a series of customer-focused enhancements. The improvements, launched in August, come as the Exchange prepares to welcome approximately 21 million Veteran shoppers to ShopMyExchange.com on Nov. 11. A re-engineered mobile site that adapts to the screens of all mobile devices. Enhanced shopper capacity, with 30,000 now able to shop simultaneously and room for expansion as necessary. A new sale pricing system that implements promotional prices the instant sales are effective. Further online improvements are planned for 2018, including a redesigned shopping cart and checkout section. Back in August, the Department of Veteran Affairs released their first comprehensive report on veteran suicide. 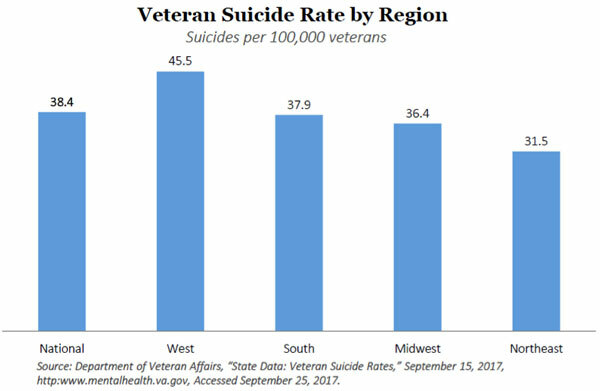 They have now released that data broken down into the veteran suicide rates by state and region. 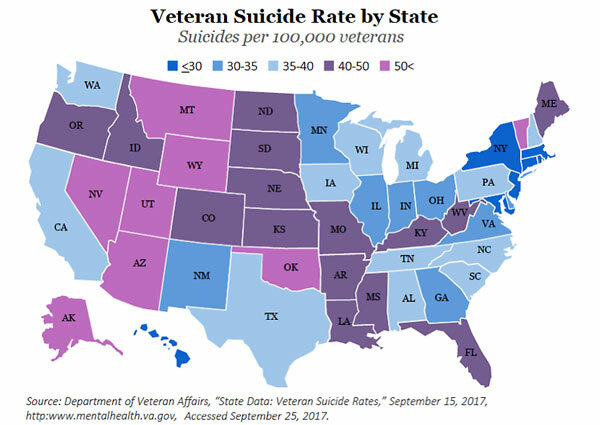 Depicted below is a graphic representation of the veteran suicide rates by state. Former Service Member’s Law Center director, retired USNR Capt. Sam Wright, provides periodic law review updates. Please see ROA’s Law Center webpage for more information on service members’ law. ReserveVoice is published twice monthly for ROA members. © 2017 ROA All rights reserved.